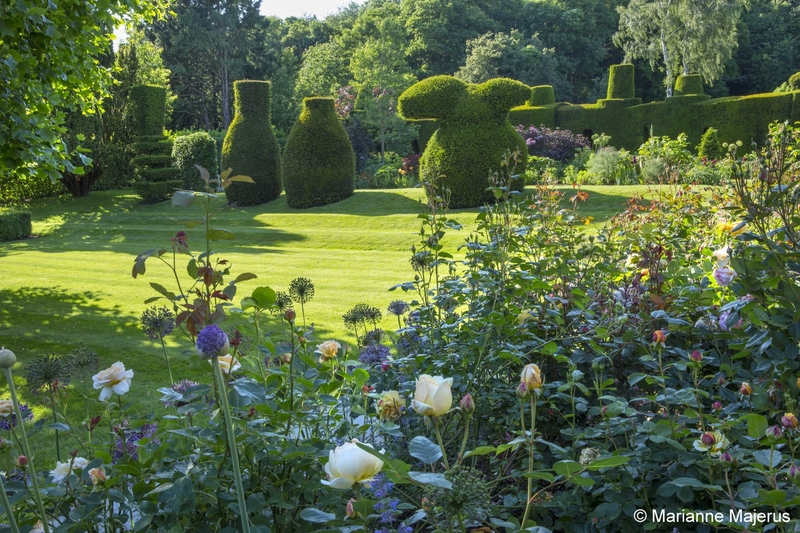 The garden at Calico House was made over the past decade utilising yew hedges and topiary dating from the 1920s. Terraced lawns and themed flower borders are set within a traditional English garden framework of hedges and walks. In the Spring the borders have contemporary plantings of tulips set under cherry blossom in distinct pastel, cool and hot palettes.